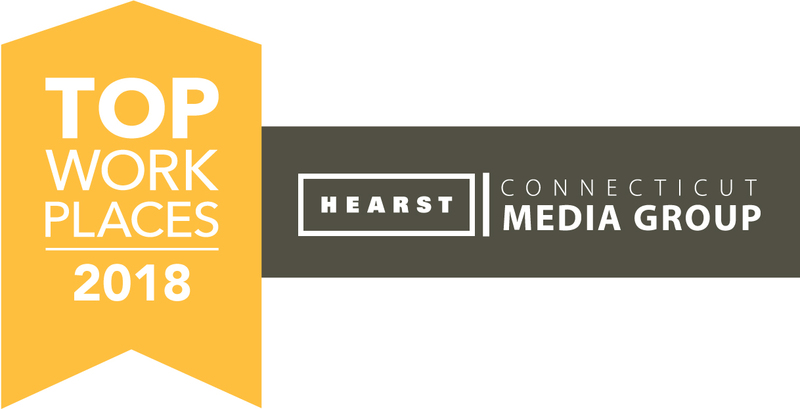 Hearst Connecticut Media Group has recognized 50 Companies and Organizations in Hearst Connecticut as Top Workplaces for 2018. These companies have been recognized based solely on surveys about the workplace completed by their employees. 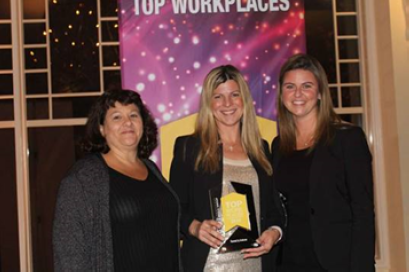 We are pleased to announce that Renewal by Andersen of Connecticut has been awarded a 2018 top place to work. This honor, awarded by Hearst Connecticut Media Group, reflects the commitment and professionalism of the entire team at Renewal by Andersen and we are honored to be recognized in Connecticut. Accepting the award at the Hearst Media Dinner Event are members of the Human Resource Team. Pictured below left to right: Diane Rodrigues, Christina Schmit, Susie Waters.